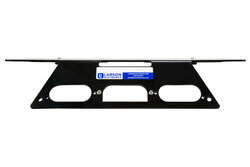 Gifts For Men → 2003 Ford F250-F550 Super Duty Truck No Drill Magnetic Mounting Plate - 3rd Brake Light - 24" x 8.6"
The MMP-FSD-2003 from Larson Electronics is a No Drill Magnetic Mounting Plate for any light with a magnetic mounting base, including spotlights, flood lights, strobe lights, beacons, warning lights, signal lights, flashers, turn signals, brake lights, hunting lights, fishing lights, off-roading lights and so on. 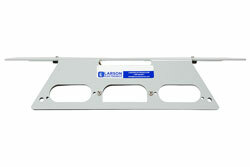 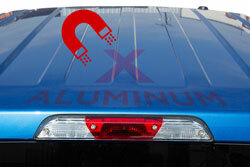 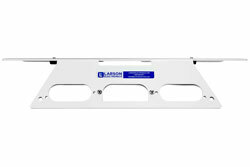 This light weight mounting plate requires absolutely no drilling to install and can support lights of up to 15 lbs. 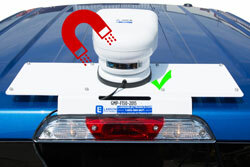 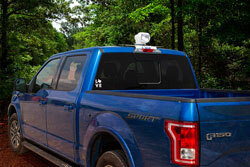 The MMP-FSD-2003 features a 24" by 8.6" magnetic mounting surface, is compatible with 1st generation 2003 Ford F250, F350, F450 and F550 Super Duty steel body pickup trucks and offers operators a convenient mounting location for any magnetic light and for applications including security, property manegement, construction, farming operations and so on. 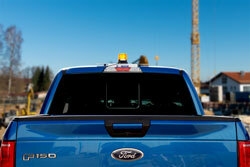 Applications: Off-roading, property management, security, search and rescue, farming operations and any other applications for which a roof mounted spotlight is needed for 2003 model year Ford F250-F550 truck owners.